Huge thank you to Rachel Kahn for this advance reader copy! So I have a confession to make: my spouse regularly games with Rachel Kahn so I always get the second hand fun that comes from the gaming sessions and what’s been going down on the Crom-ness. In any case, I love By Crom! and I love the idea that people can have a fictional spirit guide that is their voice of reason, understanding, and of course, inner strength. 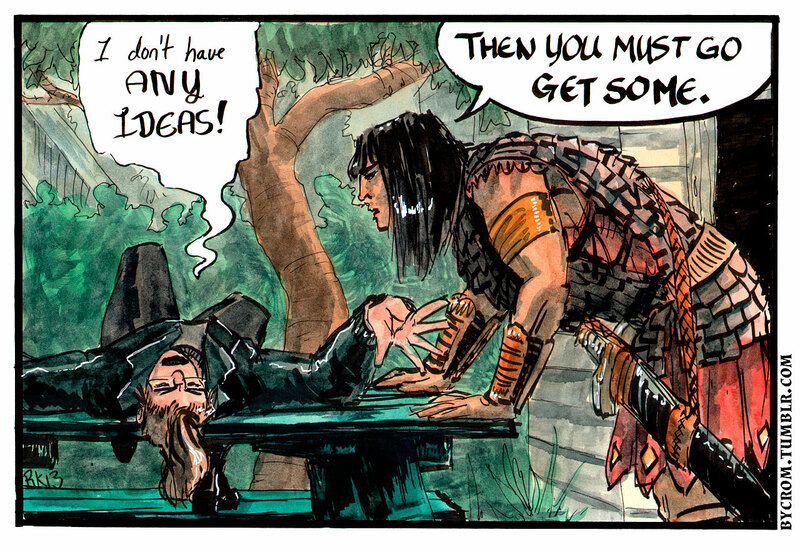 It’s hard not to love these comics as they deal with real world issues with a touch of Conan’s wise-wisdom of how our heroine should go about her day. The art in these comics and beautiful and so expressive. I think what I love more is just how much I smile and laugh when I read these. There’s just so much honesty and that always seems to go a long way with me. The only thing that made me sad? Not enough Sam the dog. However, there is a Sam paper doll in the back of the book that I may have to print off, colour in and stick on my desk. 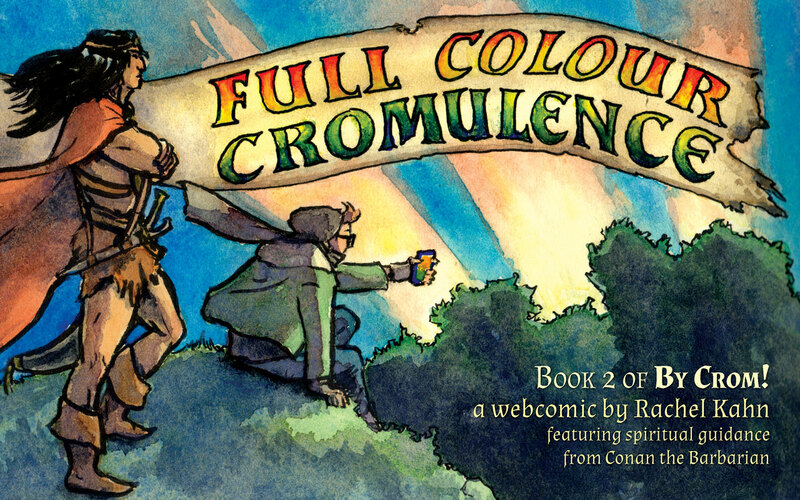 This second installment of By Crom! is worth every penny, and it’s worth supporting. If you want to buy it, you can grab it Big Cartel or check out all of Rachel’s comics here. And just to show you that I am not kidding about how awesome By Crom! is, have a strip to read because Rachel is awesauce. This entry was posted in Uncategorized and tagged adult, adult book review, book review, graphic novel, Sam on June 11, 2014 by samcmar.